Top EU officials and economists are warning of a slowdown in global trade and a possible further escalation in trade wars, which could both adversely affect global GDP expansion, as well as the performance of international financial markets. Kristian Rouz – European Commissioner for Economic and Financial Affairs Pierre Moscovici says a further escalation in global trade tensions could deal a blow to stock and bond markets worldwide, particularly in the Eurozone and the US. In a recent interview, Moscovici urged a gradual de-escalation in trade disputes, which could be achieved through talks. Such negotiations, however, should pursue a goal of maintaining the status-quo in international trading relations, the officials suggested, which is hardly in the interest of the current US administration. “An escalation – no matter from which side – would have serious consequences for the economy, including for the financial markets, which would hurt all sides,” Moscovici stressed. Moscovici’s comments come after EU officials warned of the possible negative effects of trade wars on economic growth in the advanced nations. At this point, trade war are understood as a realignment in global supply chains, as US President Donald Trump’s actions are aimed at fixing the imbalances in his country’s foreign trade. However, as other nations reciprocate – in some cases, such reciprocal measures are In part politically-motivated as well – forward-looking economic projections are becoming increasingly bleak. “That’s why we need a gateway to get out of this spiral that ultimately damages the global economy and pulls everyone down with it,” Moscovici said. Meanwhile, the Eurozone downgraded its short-term GDP growth outlook, by lowering its summer interim forecast by 0.2 percent, resulting in the expectations of a 2.1-percent economic growth this year. 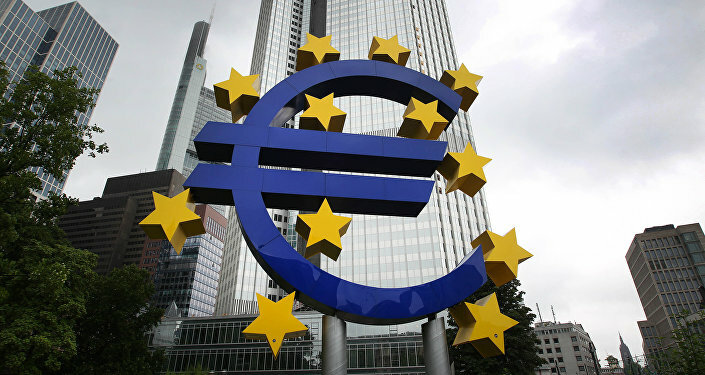 The single currency bloc’s economy will expand 2 percent in 2019, Eurozone officials said. This downgrade comes as EU economists observed the export-reliant German economy, which could slow down if the changes in global supply chains produce a decrease in global demand for German manufactured goods. "Risks are tilted to the downside. Global trade policy uncertainty could affect the highly open German economy more strongly," the European Commission’s summer forecast read. "Escalating protectionism would likely weigh on business confidence across the globe and thus dampen global investment demandb which is likely contributing to the growing concerns of German exporters." Mainland China, on the other hand, is aggressively pursuing a trade deal with the EU – heavy on the technology component in particular, the powerhouse German economy is extracting its primary benefits from the exports of industrial production rather than technology transfer to the offshored facilities. Moscovici said the largest risks arrive from the policy uncertainty in the US and the elevated oil prices, and the latter is driving Eurozone inflation, which is expected to hit 1.9 percent this year. Germany has long advocated cutting trade restrictions around the globe, as Berlin has been running trade surpluses for decades. The current US policies on trade are the opposite, and the expected disruptions in global trade will only bring down the gigantic US trade deficits. Meanwhile, American exports are expected to fare better in the tumultuous trade environment due to the lack of effective competition and a significant value-added component to the American-made goods. A recent report from the Netherlands-based Bureau for Economic Policy Analysis found the momentum in global trade decelerated to its slowest since April 2015, despite the overall pace of global economic growth significantly improving since then. The report suggests that many nations are becoming increasingly self-reliant. These latest developments also suggest that a gradual reform in the global trading relations has already commenced,with disruptions in the decades-old supply chains. But the next step, which would see the establishment of new trade connexions with an emphasis on fairness and reciprocity, has yet to be taken – and bilateral trade deals between the world’s major economies could be a good start.